Ok, I have conversed with many via twitter that think speculators are the devil. While I agree, as a speculator, that they are a part of the problem, I disagree that they drive price. Instead, speculators only carry the momentum that is already pushed upon it by outside factors. I am excited to point out the latest example of speculators being neutral when it comes to price. 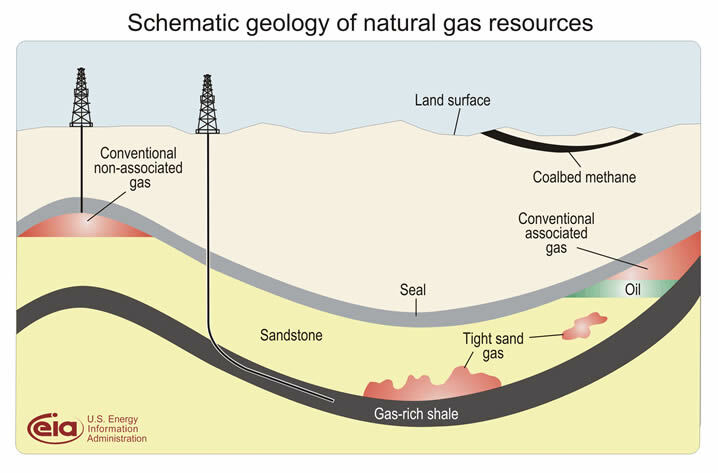 Natural Gas is a commodity that is played just like oil. There are a hundred different ways to play this commodity, but the most important point is that it is at multi-year lows. Has demand gone down? No, but supply has gone up. Due to fracking (no comment on the legitimacy of this process here) they are finding it under every rock in the U.S. I exaggerate this on purpose. Because the notion that it is everywhere is speculation. Speculators are getting out of the trade because of an assumed over-supply. They are correct! This lowers the price to unheard of levels. It is almost a 1/3 the price is was in 2010. Where are the Senators now? Why aren’t they out congratulating us?.. Hypocrites! The major difference between Natural Gas and Gas at the pumps is that there are more factors for gas at the pump. When it comes to gas, we are far more subject to feuding countries that supply it, and profit lines of major refiners here in the U.S. Remember that it is Oil that is speculated, not the price of gas at the pump. Big oil companies are profiting huge on the difference between the price of oil per barrel and what they can get at the pump. Here is what I mean: Last April price of light sweet crude was $125 per barrel and oil companies were still able to make a good profit at $3.25 per gallon. Now that oil is only $103 per barrel, they are able to charge over $4.10 at the pumps. This isn’t speculation, but profit. 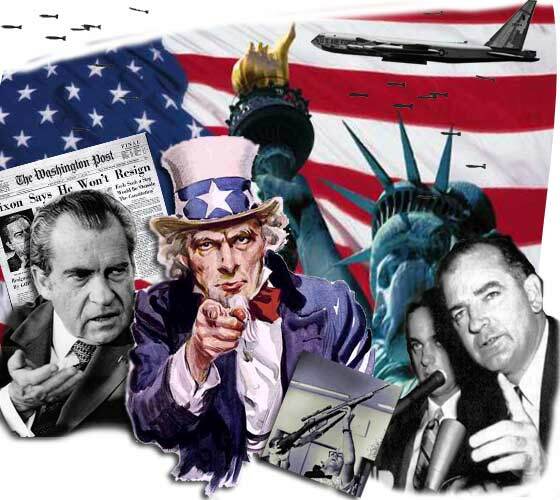 Before I begin, I must be very clear that I am not a conspiracy theorist kind of guy nor an anti-Republican! Therefore, it is an internal struggle t o put this out there, but after several months of introspection I feel it is time. The Republican Party seems to have conspired to keep Buddy Roemer out of the race for president. He would never come out and say it because it opens him up for an all out attack from the party. He would then have an even smaller chance to win an election. 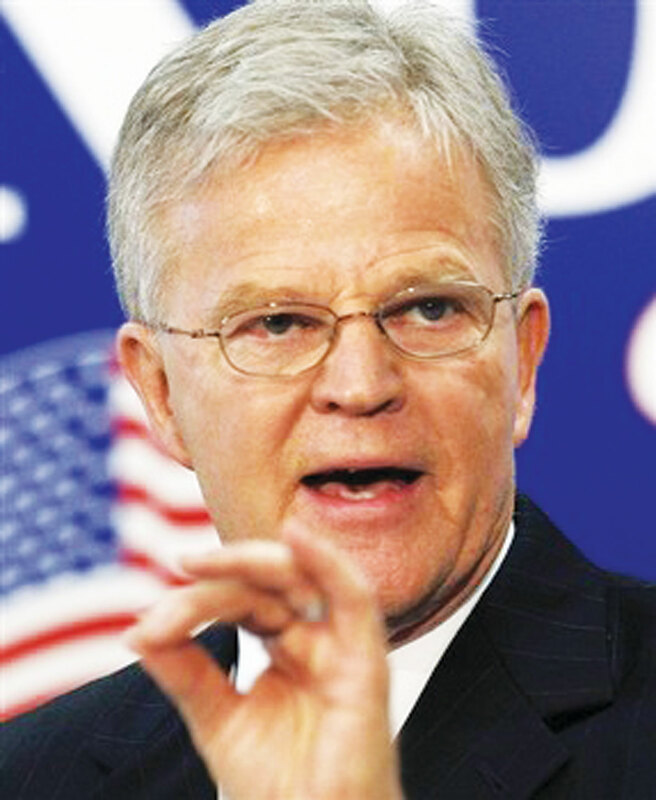 Buddy Roemer has all the experience you would want for a commander-in-chief. At Harvard, he earned a BS in Economics and later an MBA in Finance. From 1981 to 1988 he served as a Congressman. From 1988 to 1992 he served as Louisiana’s Governor. While there he cut the unemployment rate in half, reformed their campaign finance laws, and balanced the state’s budget. I don’t mention this to get readers to vote for him, but to show how qualified he is to have been a candidate. The problem isn’t what he has done, it is what he hasn’t: He has never accepted Super PAC, or special interest money. Matter of fact, this has been his platform to get elected. The fact that he doesn’t accept this money makes him an enemy of the state, if you will. Imagine running Buddy out there when his platform of campaign finance reform and getting SuperPAC’s out of politics could make your party look bad, as a whole. Fox News network, a GOP slanted news network, hasn’t even hinted that Buddy Roemer exists. He was left out of all debates. Why you might ask? At first they told him he wouldn’t be allowed in the debates until he officially signed on as a candidate. That makes perfect sense until you realize that several others hadn’t that they allowed in debates. So, Buddy officially announces his running. Then they told him that he had to have at least 2% of the votes of a given state to qualify. Again, you might think that this is a fair request. We cannot have everybody and their brother in a debate, but you have to know that when they required this from Buddy, John Huntsman, Michelle Bachmann, and Rick Perry didn’t have 2% yet they were invited into these debates. Despite the hypocrisy of the situation, Buddy attained the 2%. Then they said he had to have 5% of the votes. At this time only Perry and Bachmann didn’t have the 4% but they were allowed in the debates. Matter of fact, Buddy was ahead of both of them in the polls. You still saw no mention of his existence on Fox News and he wasn’t allowed into the debates. Buddy Roemer was working hard to get the 4%, and then they dropped the bomb. They told him that he had to have a minimum amount of money raised for his campaign to get in the debates that was far beyond what he had raised to that point. This, they knew, went directly against his platform. He will not accept more than $100 per campaign donation. As a result, Buddy Roemer has dropped out of the GOP race and decided to run as an Independent via the American’s Elect process. Although I’m voting for Governor Roemer and love his platform of Campaign Finance Reform, this is not my point. I hate the fact that politics has come to this. Republicans snubbed one of their own because he was a threat to their pocket-book. Democrats would have done the same thing if the situation was reversed. It is a bi-partisan problem. They will do anything they can to “keep the money in.” This is why we, as a Republic, have to fight our own apathy and do something about it. We have to support someone like Buddy. Even if you don’t plan on voting for him, you should want a man like him in upcoming presidential debates. His take on money in government shouldn’t be silenced or big corporations will continue to own our democracy. We have to get the money out, and supporting people like Buddy is a way of going about it. $6mil earmark to Victory Solutions. QinetiQ North America rewarded w/ a $3.2mil earmark. Miltec Corp a $3.2mil earmark. J2 Technologies $3mil in earmarks. SUMMA Technology was the recipient of a $2.4mil earmark. Intergraph Corp. got a $2.32mil earmark. Advanced Optical Systems: $1.2million earmark. **Please note that some these donated through lobbyists and PAC’s. Where do we draw the line? How do we justify rewarding campaign donors w/ earmarks, legislation, or tax subsidies? If it isn’t Quid Pro Quo then it shouldn’t look like it. Do NOT accept money from someone you think deserves an earmark. It’s as simple as that. Then we, Joe Public, aren’t left wondering. I was bantering back and forth with a lobbyist the other day. He was frustrated with the fact that the term “lobbyist” is now on the same level as used-car salesman. Jokingly, I mentioned that “used-car salesman” aren’t that bad. 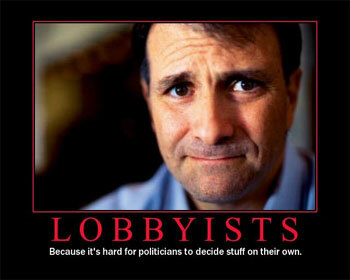 Lobbyists of every level are just doing their job. They are just playing the cards they are dealt, and there are hundreds off different types of lobbyists all thrown into the same hypothetical basket. In every profession you have the bad eggs, being a lobbyist is no different. So, I want to make it very clear that we don’t want to end the profession…. We just want to limit them to a strictly educational role. Where lobbying has gone wrong, or should I say the system, is that they are allowed to campaign and fundraise for elected officials. This creates an immediate conflict of interest. If a judge is not allowed to make a ruling on a case where he knows the defendant/plaintiff, why then, would we allow the “law-makers” the chance to define laws that affect people who are donating to their elections? If you think company X’s donation to Congressman Y’s campaign or SuperPac will go unnoticed when he is deciding whether or not to tax them, you’re not being honest with yourself. It is, by definition, a conflict of interest. Let’s take this a step further: Lobbyist Bob who used to be a Republican Senator for Alabama spent hours sitting next to Senator Dan back in the day. They golf regularly and know each others’ families. Bob has mentioned regularly that when Dan is done with Public Service, he should come work with him at the firm. In addition, Lobbyist Bob is always coming to Dan’s fundraisers with a bundle of checks from contributors. Bob has no reservations about lobbying on behalf of his clients’ needs to Dan. Corporation X is getting killed by a certain tax code and has to layoff 2500 workers if they cannot get that written out of legislation. Dan looks into it and finds that he has the power to “fix” that part of a certain tax code, and does. Three weeks later, he hits Bob up for a donation to his campaign. Bob, his wife, and several others in his office donate the max contribution to his campaign. 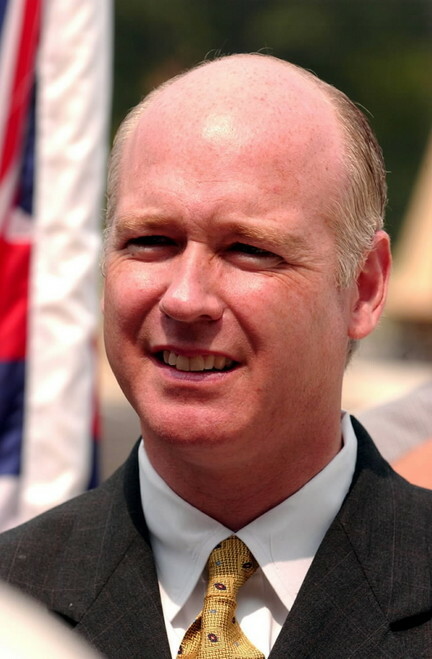 In addition, Corporation X drops $250k into his SuperPAC. A lobbyist will talk you in circles justifying this exact scenario. The solution? Eliminate SuperPACs, all middleman donations, and end the revolving door between K street and Capitol Hill. Then, we as citizens, would know that Dan was just acting out of good conscience and educating himself on the facts. Otherwise we are left to think that there is a Quid Pro Quo situation even if you can’t draw the lines directly.